Twin brothers, who both work as graphic designers, are leaving the regional newspaper industry to become Men of God. 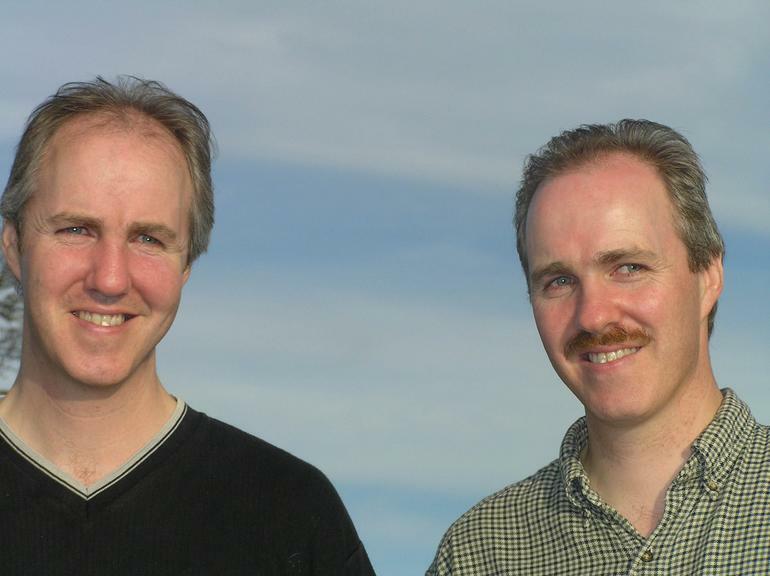 Archant employees James Paton, who is 45 years-old, and brother Scott, an employee of Aberdeen Press and Journal, are both becoming Baptist ministers. James said: “I was born 20 minutes before Scott and the rivalry has gone on ever since. At the age of eight we both became Christians on exactly the same day and were both baptised on the same day at the age of 16. “We took our driving tests on the same day, but unfortunately I went first and failed, whereas Scott passed. The worst thing was being driven around by him in the car until I did pass. “My golf handicap was four, whereas Scott’s was seven. The friendly rivalry also included girls, as we always liked the same ones. Scott has been sudying part-time at Scottish Baptist College and James has been attending Suffolk Preachers Seminary in his spare time.